Back to wall toilets are a stylish new-age product. They often have cisterns that are plumbed inside the wall for a sleek finish. A BTW pan is a great way to upgrade any bathroom be it traditional or contemporary. We supply many different BTW toilets in a range of designs, enabling you to choose the perfect loo for your bathroom. 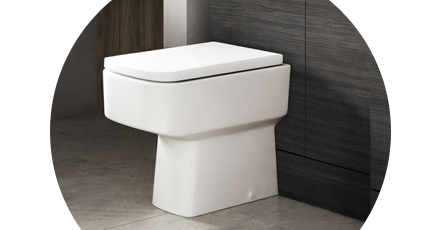 Regardless of whether you have gone for a traditional theme or a more modern edge, you will find a suitable back to wall toilet in our collection.